When people hear the phrase “island getaway” it is natural to think of Caribbean resorts, Greece, Southeast Asia and, of course, the Maldives. However there are thousands of incredible islands begging to be explored. Some offer pristine beaches and “island life” while others offer outdoor pursuits, rocky terrain or adventure, yet each one invites travellers to discover their particular charms. Instead of visiting the same old islands this summer, why not consider a new destination? Head further afield and uncover a new side to secluded isles, one that can lead to a more meaningful, fulfilling and unique journey. for horseback riding, hot air balloon flights and fishing. Thanks to the new Hokkaido Shinkansen (bullet train), which is due to open on 26th March, this area will soon become more accessible than ever. Passing through Seikan, the world’s longest undersea tunnel, the journey from Tokyo to Sapporo will be halved from 10 hours to five, making 2016 the perfect time to visit. enjoys protected marine parks status to ensure the wildlife is preserved, visitor numbers are limited and a daily tax imposed. All of these factors give Fernando de Noronha a pristine, detached quality. There are direct flights to the mainland cities of Recife and Natal, as well as a handful of good hotels and restaurants. However, these islands remain off the beaten track, and this is exactly how the Brazilian government likes it. So don’t expect that to change anytime soon. 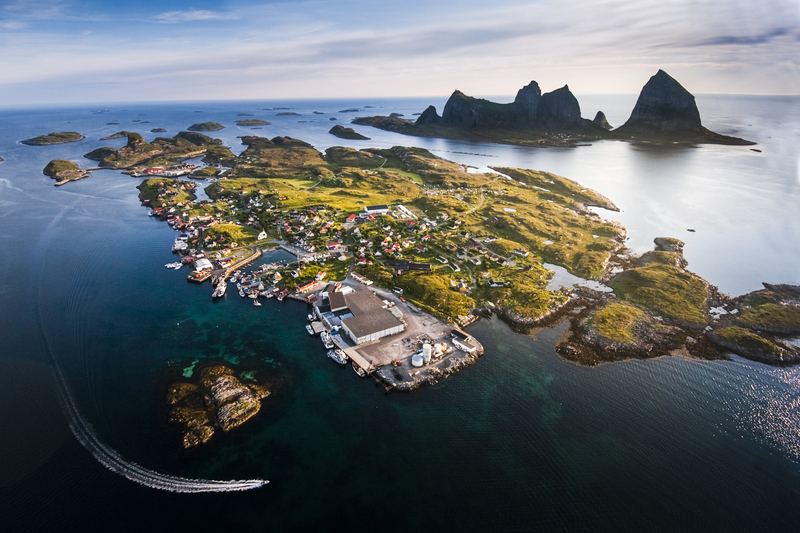 This summer forget the usual wet Glastonbury and head to the Træna archipelago off the northwest coast of Norway. Here amongst the 1,000 tiny islands is possibly the most remote and secluded music festival in the world, the Trænafestival. Over three days in July, groups play to a small audience who have made the trek to these isles. Nestled among spectacular jagged rocks they watch bands play with the sparkling Arctic Ocean as a backdrop. Best of all is the midnight sun. Sunset and sunrise are separated by little more than an hour, meaning the three-day party is bathed in a golden summer glow. However if you prefer a little darkness to help you sleep, a vast network of caves provides the ideal camp ground to escape the all-day sunlight. Contact us if you would like to begin exploring some lesser known and more obscure islands.